You may be familiar with GandCrab ransomware that seems to widely spread via various spam campaigns or social engineering techniques to infect and harvest users’ most important data.This fast-growing malware has infected more than 50,000 victims and targeting mostly the ones from Scandinavia and UK speaking countries, according to a report CheckPoint. Security researchers recently analyzed a new spam campaign in which malicious actors try to lure victims into clicking a malicious link that will open a binary file and infect users’ system with the GandCrab ransomware. This phishing campaign has been delivered with the following content (sanitized for your own protection). Basically, the malware is spread via an executable binary file (resume.exe) which is returned after GandCrab is running on the local machine as a file called “bhxsew.exe”. 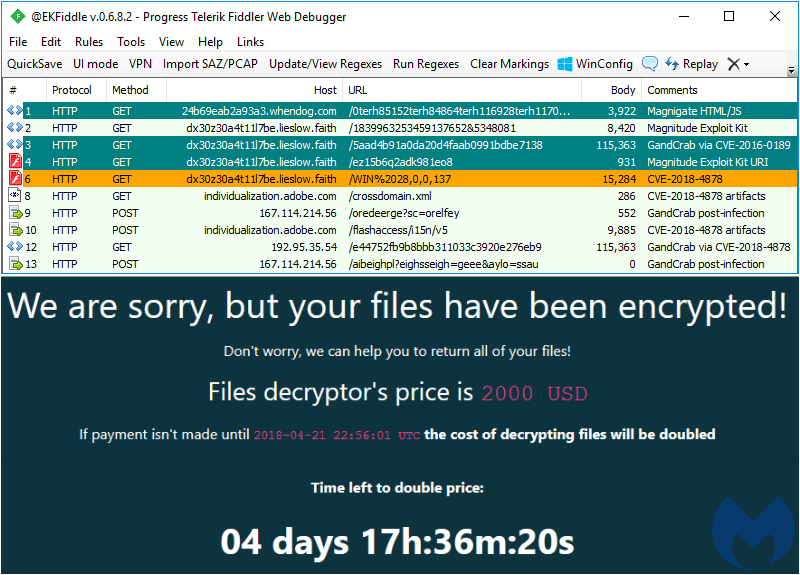 GandCrab ransomware is not spread only via spam emails but also seen distributed via an exploit kit campaign called MagnitudeEK which abuses software vulnerabilities found in Windows, Adobe Flash Player, and Silverlight. 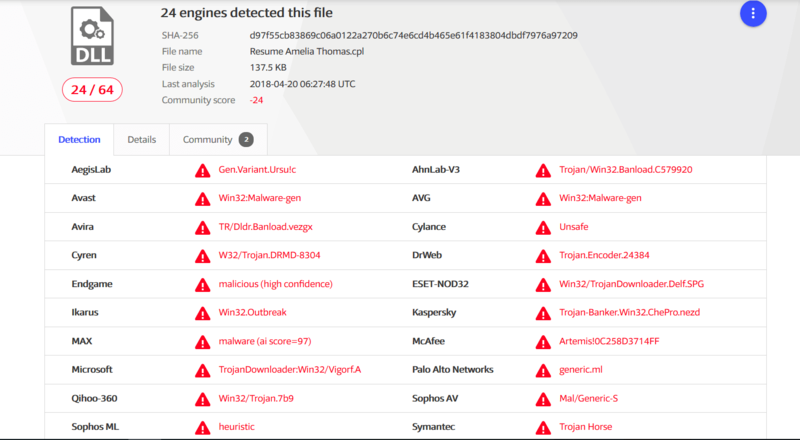 According to VirusTotal, 24 antivirus products out of 64 have detected this spam email campaign at the time we write this security alert. One of the best ways to keep your important data safe from ransomware is to think and act proactively. Consider using a paid antivirus software which is also up to date, or consider having a proactive anti ransomware protection (here’s what Heimdal PRO can do for you). Given the rise of new types of malware (the version 2 of GandCrab ransomware is out there and, unfortunately, there’s no decryption tool available) we remind you that security is not just about using a solution or another, it’s also about improving your online habits and being proactive. Should you need to understand what ransomware is all about, this dedicated guide will help you. If you’ve been a victim of the GandCrab ransomware, the good news is that there’s a decryption tool available you can use to recover the valuable data locked by ransomware. At Norton setup, we help build your data is secure online and offline to get the least exposure to the hackers or the outside world. We work with the clients to get them noticed of what we are really doing in order to protect their data or business from wide range of malware and threats, so that you can be confident enough of your data security.